Just have a giant blue mandala in the center left remaining to do. 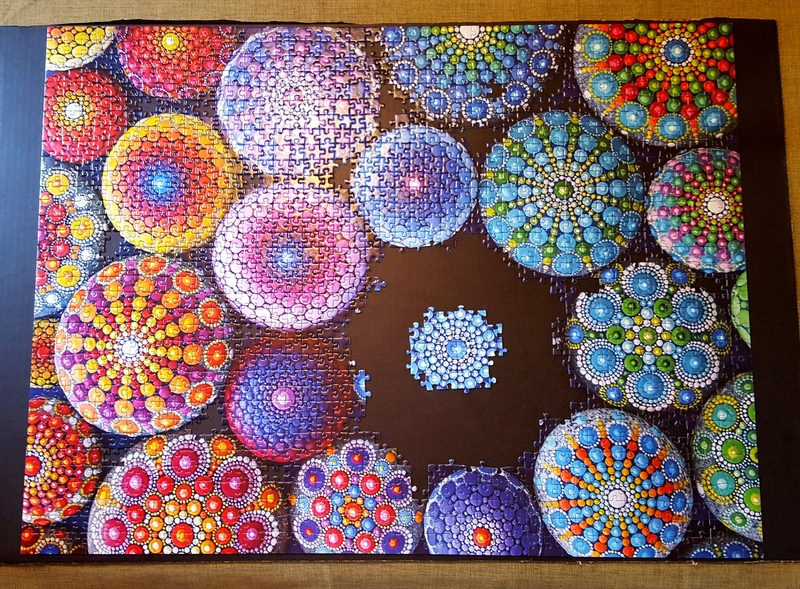 This beautiful (and quite challenging) puzzle was made with the stunning artwork of the mandala queen herself – Elspeth McLean, and has been on my Amazon wishlist ever since it was made available. The photo above is crude, was snapped in bad lighting, and doesn’t do it justice, but it’s absolutely gorgeous! I plan to glue it and somehow frame it once it’s finished. Which I’m procrastinating finishing because I don’t want it to end. I’m a huge fan of puzzles, there’s something very therapeutic about fitting the pieces together, like there’s an order to the universe or something – which of course there is haha! I don’t know, maybe it just helps me feel like I have some control over something in my life? However, I should probably be organizing and putting things in order around the house instead. January is good for that, and it’s likely that’s exactly what I’d be doing if I hadn’t got sucked into assembling this puzzle right after Christmas. Thanks a lot Sis! 😉 That’s what she’s been doing – getting her home organized. Happy Monday, hope your week is off to a lovely start! Amidst all the mayhem and troubles that life can sometimes bring, be on the lookout for the tiny treasures that may be hidden within each day, for there is always beauty to be found. Can you even see it? I could barely spot it, and I knew it was there. 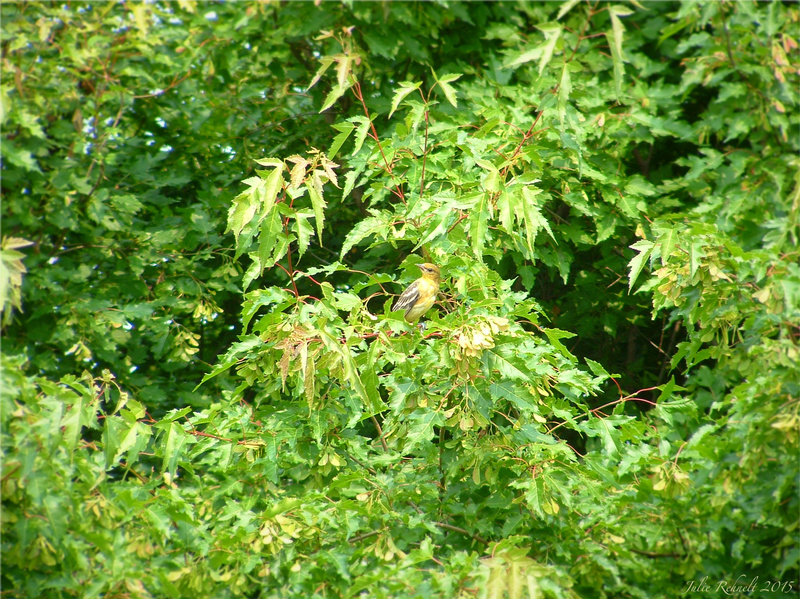 The color of the leaves is great camouflage with the color of its feathers. I guess what my thought is, is that sometimes life is like that – like an I SPY book. Sometimes the pages of our lives may seem overly crowded with this or that, and it’s a challenge to find the little treasures hidden in plain sight amidst all the mayhem (or amidst the camouflage of tree branches), but keep a lookout, there is beauty to be found.